HomeFeaturesWhy is studying our native language so difficult? Why is studying our native language so difficult? Many students are exempt from studying Irish in school due to a disability. In 2015, 3,592 students had an exemption from sitting Irish for the Leaving Cert because of their disability. Out of these students 60 percent took another language exam such as French, German or Spanish. Clive Byrne, Director of the second-level National Association of Principals and Deputy Principals (NAPD) said that if a student is exempt from Irish on the basis of a psychologist’s report then there is no problem. However, he said his difficulty is that “they are well able to study French, German or Italian”. He said it is an issue where “a number of students or parents are using the system because Irish is seen as a subject that is not useful, or as a difficult one in which to achieve a higher grade”. However, The Dyslexia Association of Ireland says that there are genuine reasons why students with dyslexia should be exempt from Irish. When other students are studying the language it gives students with dyslexia additional time for learning support in order to build their literacy skills in English. They say this is particularly important in primary school and will improve their English skills giving them a better opportunity to be able to study a second language in secondary school. The Dyslexia Association of Ireland also said that there is a significant difference between the ability a dyslexic person has to learn Irish as opposed to Spanish and Italian. This is because Irish is not a transparent language. A transparent language is one which has a very clear letter to sound correspondence and much regularity. 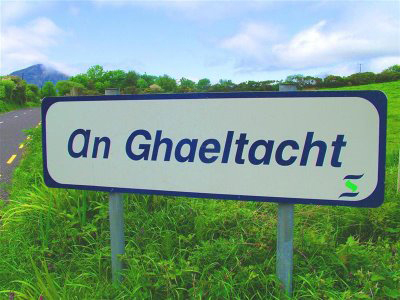 The Irish language is deep and opaque, complex, and has many irregularities. French is also more opaque as is English. With this evidence the Dyslexia Association of Ireland suggests that if a student with dyslexia opts to study a European language that they should study a transparent language in order to “minimise the impact of their diagnosed learning difficulty”. There has been a significant rise in the number of students who are being exempt from learning Irish whether it is due to a disability or from moving to the country at a later age. Some 20,000 students had exemptions in 2004 and this has risen to 32,000 in 2014. Exemptions due to a disability rose from 7,000 to 19,000. This is a staggering 12,000 more in the space of 10 years. Most Universities in Ireland, with the exception of DCU, Trinity College and University of Limerick require that students have passed a third language in their Leaving Cert. In the case where a student has been exempt from Irish they must have a language other than English. There are some exceptions for Engineering and Science courses. With these requirements this may be why 60 percent of students who are exempt from Irish still choose to study a European language.